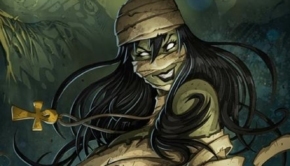 In The Mummy an age-old evil awakens and her desire for revenge threatens to destroy the world. Tom Cruise (Mission: Impossible franchise, Top Gun) fights against this ultimate evil, a breathtaking new version of the legendary monster. In this action movie, Oscar winner Russel Crowe (Gladiator, A Beautiful Mind), Jake Johnson (Jurassic World, “New Girl”), Annabelle Wales (King Arthur: Legend of the Sword, Peaky Blinders) and Courtney B . Vance (“American Crime Story: The People v. OJ Simpson”, Terminator Genisys). 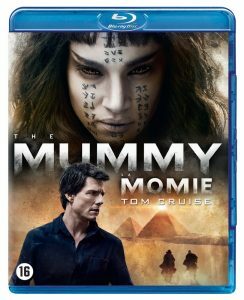 The Mummy will be available on DVD, Blu-ray, 3D Blu-ray and 4K Ultra HD Blu-ray on October 25, 2017. With over an hour of unprecedented images as bonus material, you’ll have a stunning look behind the scenes of this spectacular saga. 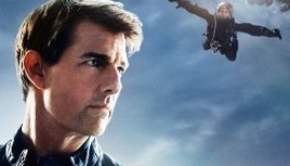 Tom Cruise plays the lead in the spectacular film about the global legend: The Mummy. While people of old thought her to be buried forever, a prehistoric princess (Sofia Boutella) wakes up in her tomb deep below the desert. Her life was unjustly taken away from her, and with her centuries-long bottled-up rage she raises unimaginable horrors. The Mummy brings you to the rising sandy plains of the Middle East to hidden underground mazes in contemporary London with a surprising intensity of movie-making. With a blend of spectacle and excitement, this imaginative modern execution brings us to a new world of gods and monsters.